Step 1: Connect COM port of the computer to the console port of the switch with a RS-232 serial cable. Launch the hyperterminal monitor and Power cycle the switch. When it boots up, log in using the default user name, admin, and no password. Press Enter to get the console# prompt. Step 3: Set an IP address on the switch. Note: The IP address needs to be on the same subnet as your computer. Step 4: Open a web browser, such as Internet Explorer or Netscape, and enter the IP address, that you set in the previous step, in the address bar. 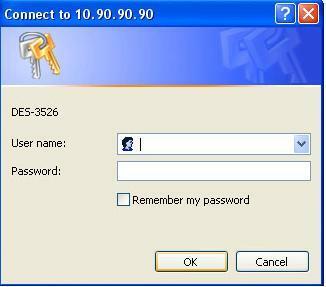 Step 5: You will be prompted for a user name and password.The default user name is admin and there is no password. Select OK. Step 6: Select Basic Setup, from the top. Under Vlan, on the left side, select Properties. Step 8: Go back to Vlan, on the left side, and select Properties again. Select Membership. You should see Vlan 1 the default port settings. 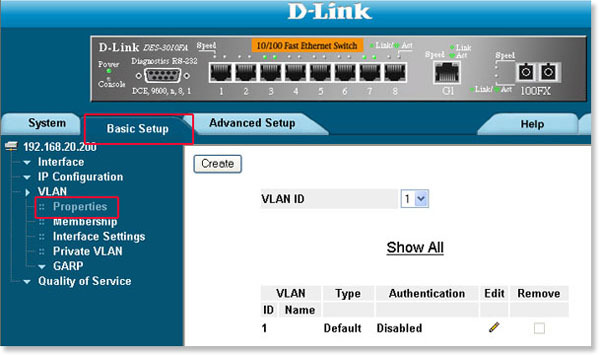 Step 10: Select the ports you wish to assign to Vlan 2. In this example we use ports 3, 4 and 5 for our Vlan 2. Step 11: In the example port 5 is being configured for Vlan 2 Selecting Vlan ID 2 and Selecting the number 5 just above port 5. Select Untagged and press Submit. Step 12: To save your settings, select File Management, from the left side. Choose Copy Files. Step 13: Select the radio button next to Copy Configuration. Set Source to Running Configuration. Set Destination to Startup Configuration. Note: Before you begin this upgrade you will need a computer running a TFTP server. If the new firmware version requires a different bootcode, continue to Step 1. If you do not need to upgrade the bootcode continue to Step 4. Step 1: Enter the command copy tftp://(ip address)/(filename) boot. Where you replace (ip address) with the IP address of the TFTP server and (file name) with the version of boot code you wish to upload. Step 2: After the upload is complete, type reload in the command prompt and hit Enter. Step 3: Once the switch has reloaded, log into the switch and run the command show version. Ensure that the new boot code version was uploaded properly. You can now upload the new firmware. Where you replace (ip address) with the IP address of the TFTP server and (file name) with the version of firmware you wish to upload. Show bootver and see which image is not active. Where <non active image> is the non active image (either 1 or 2). Note: If you are downgrading the firmware to an older version, type delete startup-config, in the command prompt, and hit Enter. Then type y twice in response to the prompts, to proceed. If it is a newer version, continue to Step 7. Step 7: After the upload is complete, type reload, in the command prompt, and hit Enter. 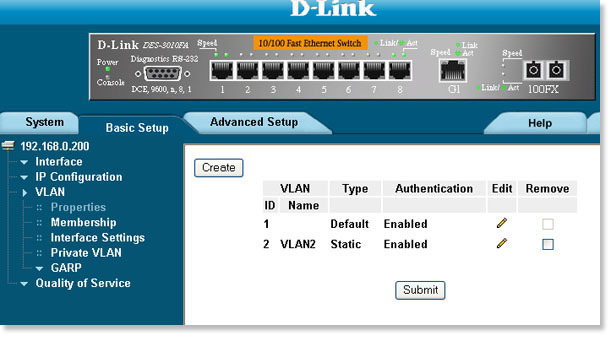 Step 8: Once the D-Link switch has reloaded, log into the switch and run the command show version. Ensure that the boot code version and the firmware version is correct. All ports are untagged members of the default VLAN. Step 1: Make sure the device is powered on. Connect your computer to one of the 10/100 Mbps Ethernet ports located on the front panel using an Ethernet cable. Make sure the cable connections are secured. 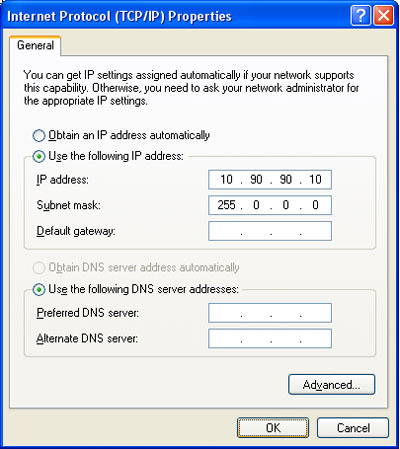 Step 2: Statically assign your IP address settings using the following parameters. Step 3: Open a web browser and type in the address bar, type in the URL http://10.90.90.90 and press Enter on the keyboard. Click on Login at the top of the page. By default, there is no user name and password, click OK. You will now be logged into the Web Management Interface. 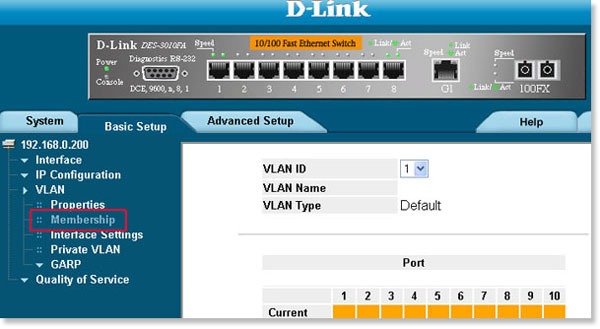 Some people ask me how to find the D-Link switch serial number, is actually very simple. On the bottom of each D-Link Switch/Hub, a sticker has been placed which contains the serial number information for that product. The circled series of numbers is the Serial number.